Last version offers great news for all sportsmen. Do you enjoy running or cycling together with Locus track record function? You can get more now! 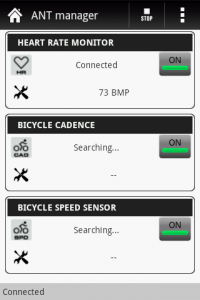 Locus works with ANT+ devices, so you can monitor your heart rate or for example bike cadence. ANT+ and Locus allow to record multiple sensors at the same time. 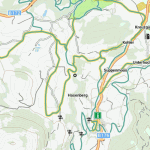 Internal themes for vector maps look more realistic now. New ski theme offers information about slopes their difficulty or about lifts and cable cars. Paths for Nordic skiing are divided into three types based on their difficulty. Offline vector maps are three times faster in streets zoom levels. Locus starts much faster because improvements in managing of points.